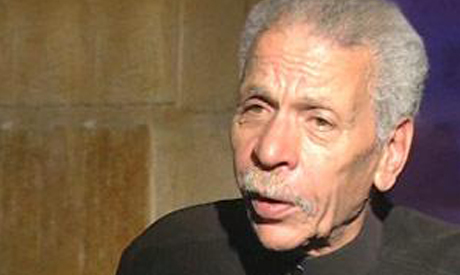 Renowned Egyptian poet Ahmed Fouad Negm died on Tuesday morning at the age of 84, publisher Mohamed Hashem confirmed to Ahram Online. Negm, born in Sharqiya on 29 May 1929, was one of Egypt’s most renowned vernacular poets of the second half of the 20th century. He was a protesting voice since 1967 when he wrote his famous poems on the Six Day War. His poems were frequently heard at protests, and during the January 2011 uprising revolutionaries sang many of them, including The Brave Man is Brave. His name was closely linked with singer and composer Sheikh Imam, who sang many of his protest poems. Family members will receive condolences at Bilal Ibn Rabah Mosque in Moqattam tonight. Hashem and the family have been trying to change the venue to Omar Makram Mosque on the outskirts of Tahrir Square, but without success. 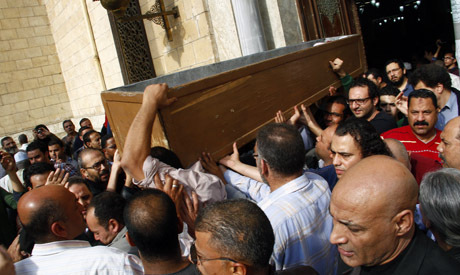 Negm's funeral will be held at Al-Hussein Mosque in Cairo, located near Khan Al-Khalili bazzar, Hashem said. Negm discovered poetry in the 1950's when he was jailed for counterfeiting. While in prison he won first prize in a poetry competition organised by the Egyptian arts council, and his collection Pictures of Life in Prison was published. He was known for his vehement criticism of Egyptian presidents, for which he spent 18 years in prison, including 11 for mocking the television addresses of president Anwar Sadat. Negm subtly merged cynicism with a sense of the oppression suffered by the working class. Speaking at a poetry evening in Amman three days before his death, Negm said the anti-Morsi protests of 30 June were the start of a new revolutionary wave. But he rejected the idea of army chief Abdel-Fattah El-Sisi running for president. "Let him manage army affairs," he said.